These durable, metal wreath hangers are made in the USA (my favorite point!) and are painted with a indoor/outdoor finish. 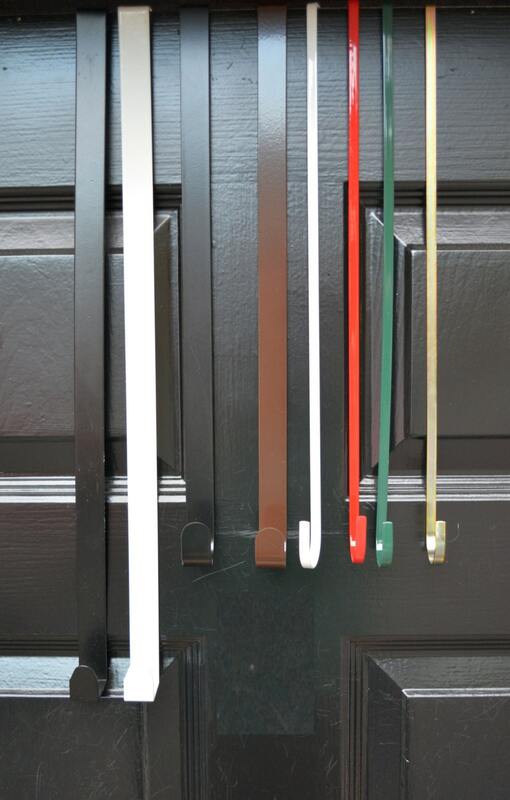 18 inch long hanger: Black or White, Fits doors 2 inches thick or less. 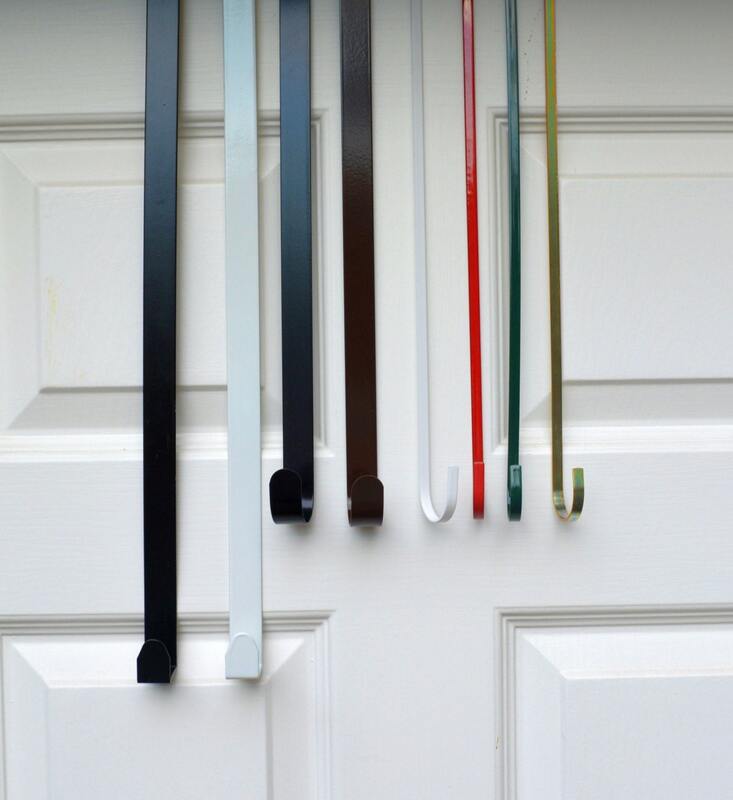 15 inch thin red, white, brass, or green: Fits doors 1 3/4 inches thick or less. 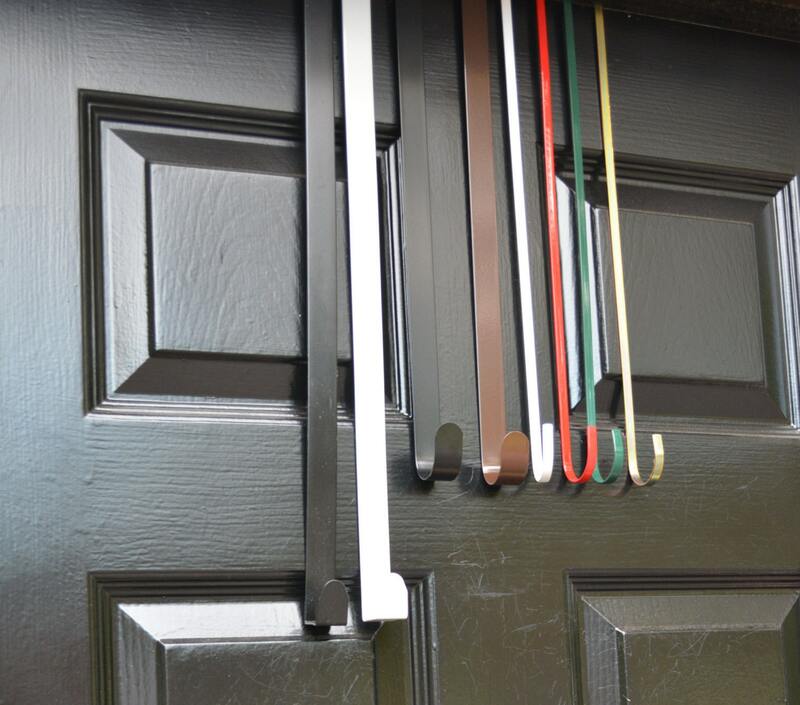 Change your wreath hooks with the seasons! Use red for Christmas/ Winter. Chocolate for Fall, White or Green for Spring and Summer. So fun! Thank you for supporting an American company! Worked perfect, put the wreath down where it looked better. Thanks. Just as described. Fast delivery. 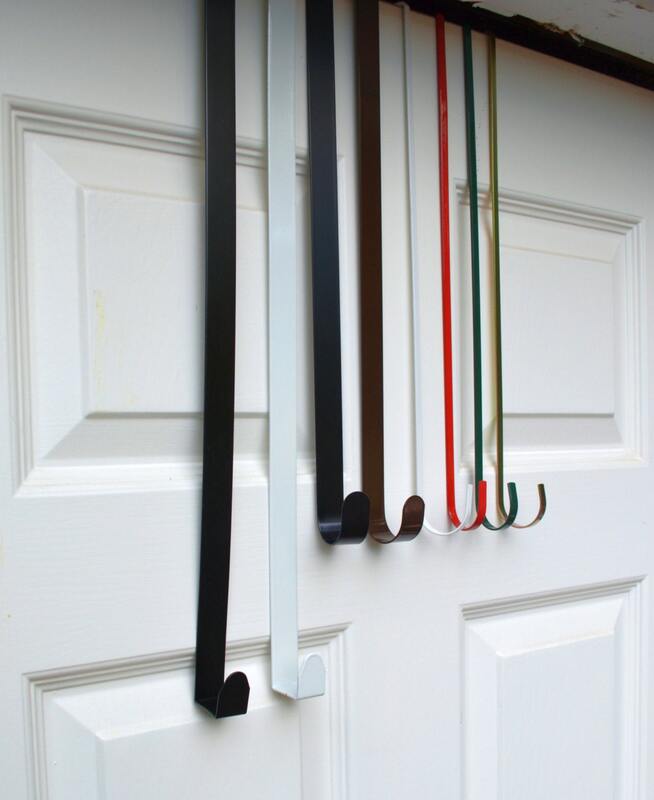 I love that they are not bulky - looks wonderful on my door! Perfect for our door. Quick shipping. Thanks!